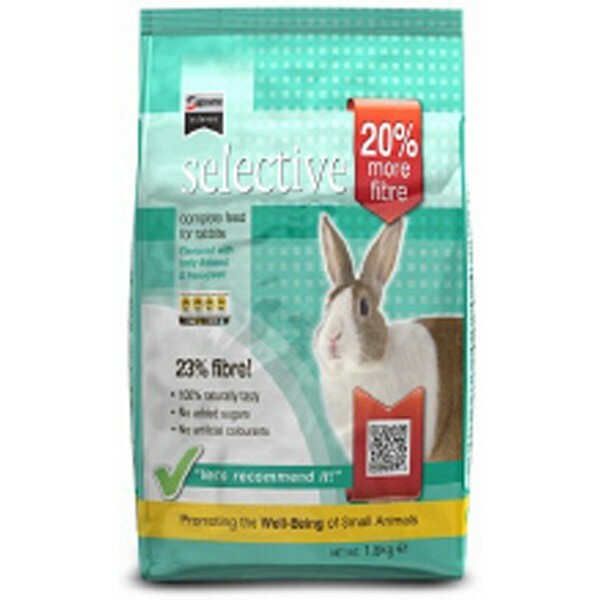 Supreme Science Selective is a Premium Rabbit Food, consisting of Extruded Biscuit to combat the problem of rabbits that Selectively Feed. Science Selective is designed to encourage rabbits to Chew in a way that will help avoid Dental Problems. Science Selective is a Nutritionally Balanced, Complete food that is High in Fibre and does not contain Sweetners that cause Obesity & Rotting Teeth.